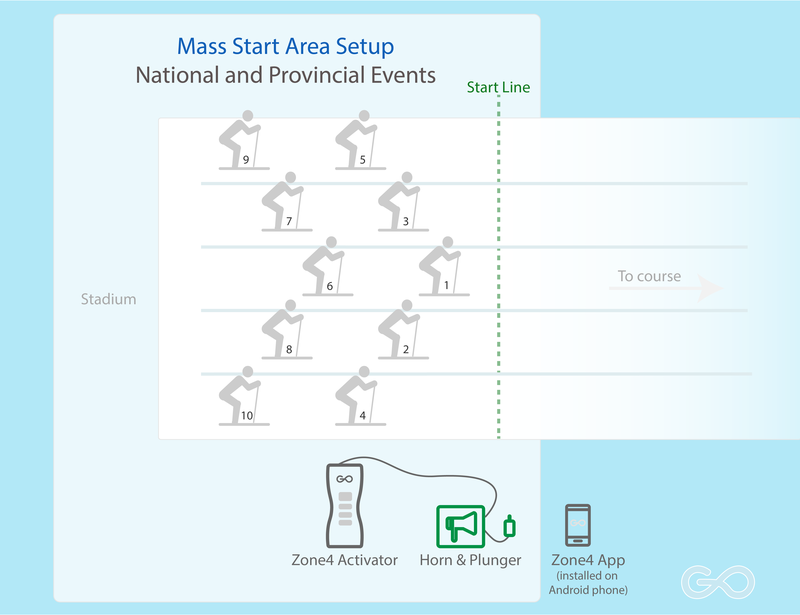 Zone4 has built-in support and features specifically designed for popular cross country ski race formats. 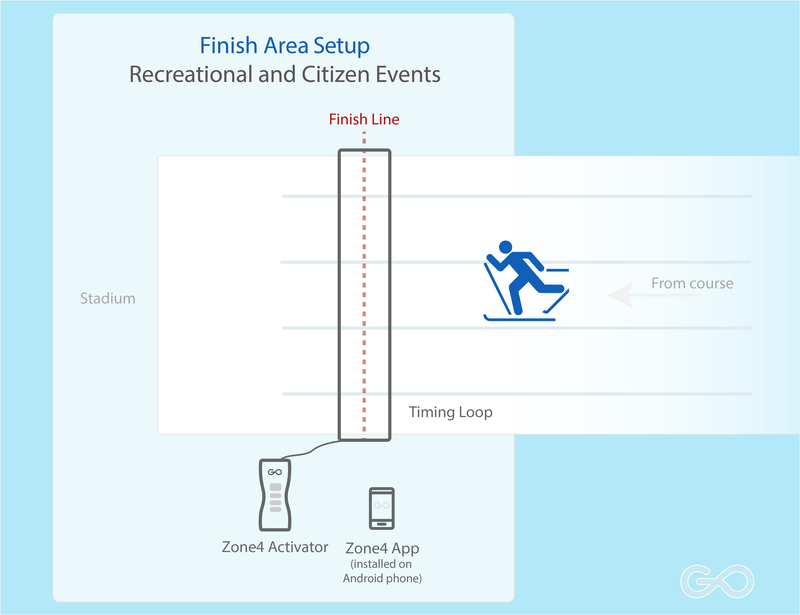 Cross-country ski races come in all shapes and sizes, and Zone4 has solutions to help you time all of them. In fact, cross-country skiing is where we got our start, it's near and dear to our hearts. This an example cross-country ski race setup. The timing points include a start, a finish and optional on-course timing points. 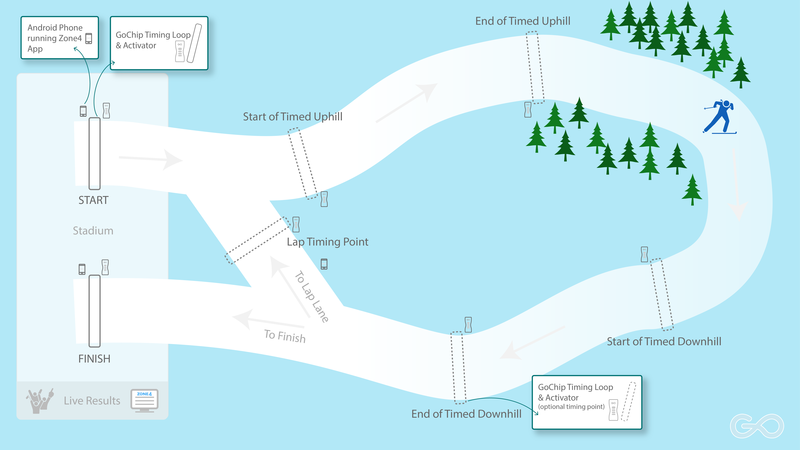 Do you have timed sections on your course such as King/Queen of the Hill? Interested in analyzing racer performance? 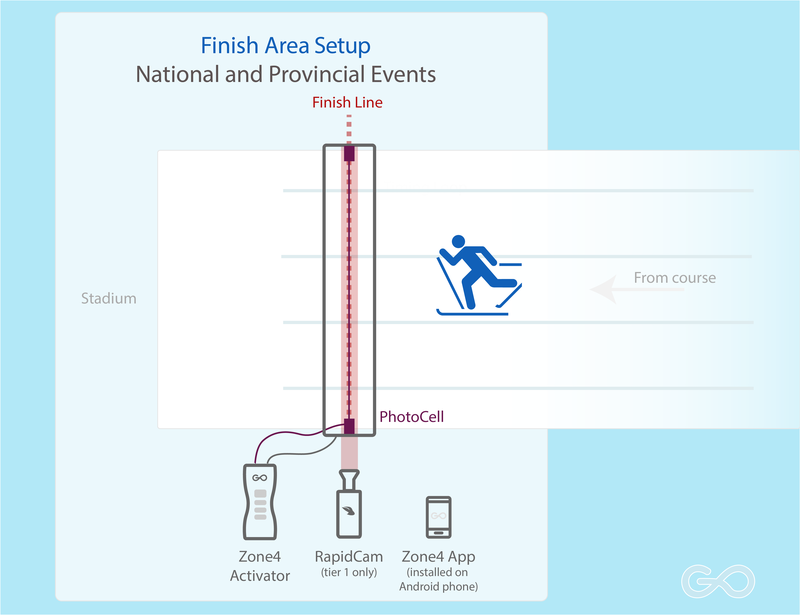 On-course timing points are ideal for timing and analyzing racer performance on specific sections of the course. If you're curious where racers gain or lose time, on-course timing points let you see exactly what's happening anywhere on the course. Add an additional GoChip activator and Timing Loop for each intermediate time you want to record (i.e. lap times, hill climbs). 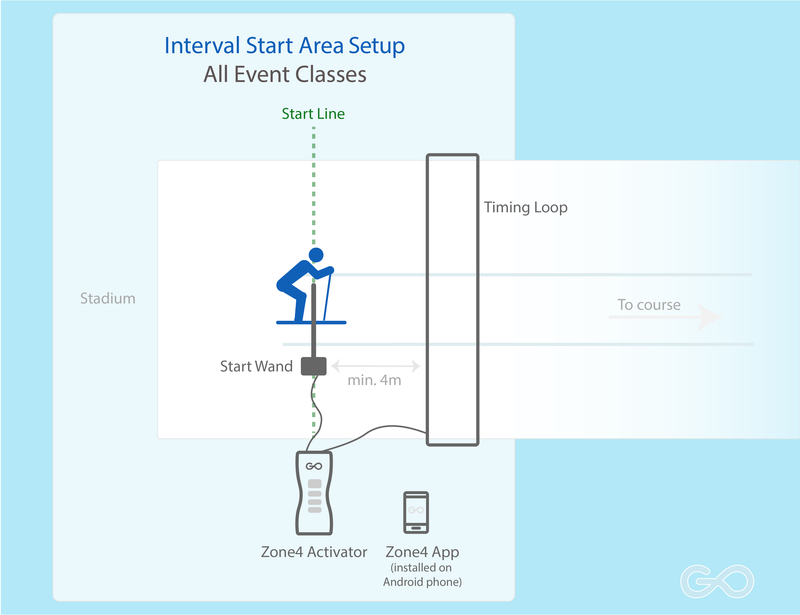 For interval start races, add another activator and GoChip loop to record times from the start gate. 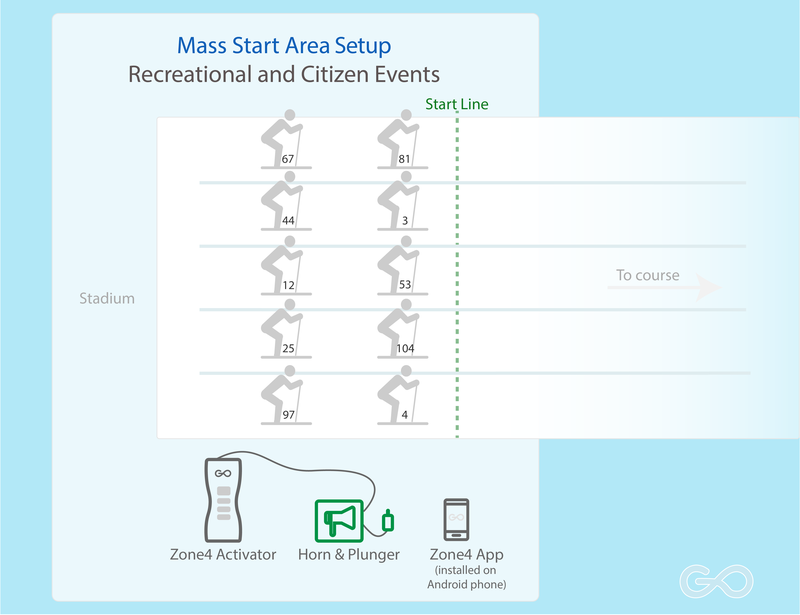 Zone4's timing software also works great with times recorded on a Summit timer or in our Android app.